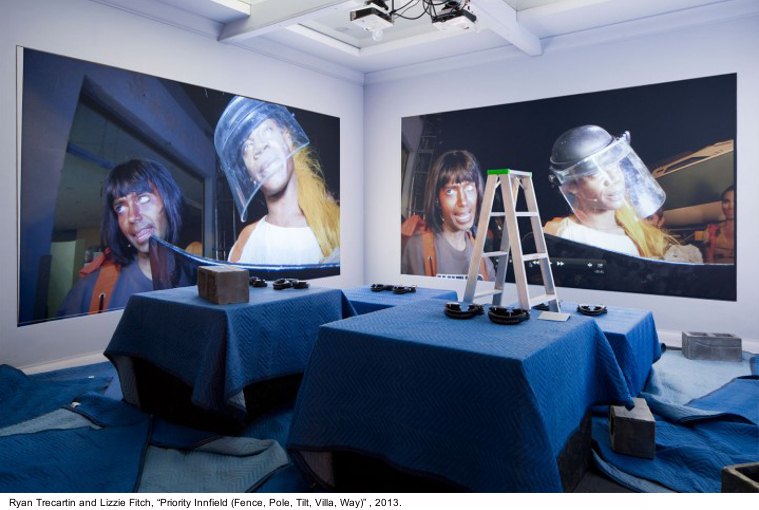 Lizzie Fitch and Ryan Trecartin, the critically acclaimed American art duo, are known for their large-scale installations, which they call “sculptural theaters”, combining movies, animation, sound, performance and sculpture to create an all-encompassing immersive experience. The exhibition at Astrup Fearnley Museet presents one of their sculptural theaters, Plaza Point (2009), which includes the three movies from Trill-ogy Comp. In these videos, conventional narrative structures are set aside in favor of a complex, multi-linear fiction. 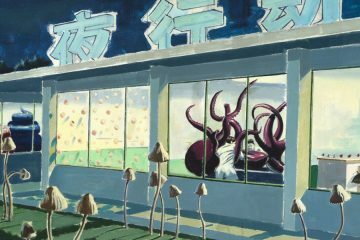 The bizarre characters convey a compelling experience of a frenetic, distorted world that resonates deeply in today’s reality where we are surrounded and influenced by screens and by streams of digital imagery. 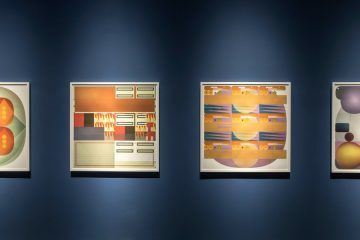 In these groundbreaking works, the artists address the changing nature of human conditions, language and narratives. With references to American youth culture, corporate rhetoric and reality TV, they explore self-staging and digital media’s impact on subject formation. Sculpture has always played a prominent role in Fitch and Trecartin’s practice, both within and outside of screen media. This exhibition at Astrup Fearnley Museet is the first comprehensive museum presentation focusing on the duo’s sculptural works. The artists have transformed the main hall of the museum into a unique sculpture garden featuring individual figures and complex narrative groups. 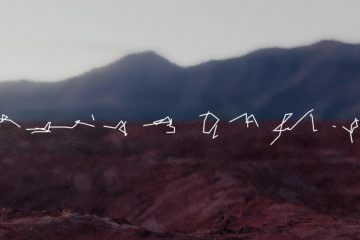 The intense and ambiguous characters, in both video and, challenge established identity roles such as gender, ethnicity, age, sexual sculptural mediality and family relations, and convey a vision of a fragmentary, commercialized world caught in a process of continuous technological development. In Fitch and Trecartin’s exhibition at Astrup Fearnley Museet this spring, the public can expect to encounter an explosive world of humor, horror, anti-aesthetics and cacophony, which at the same time poses important questions and inspires the viewer to reflect on the seismic shifts in culture that define our post-millennial moment. 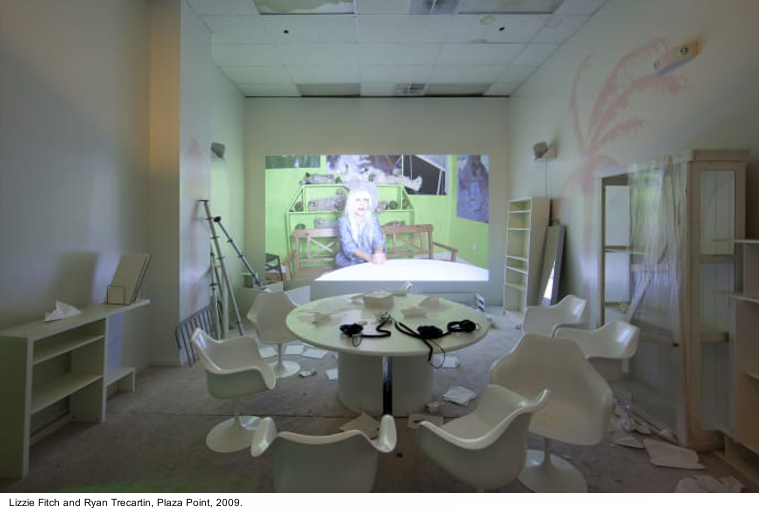 Lizzie Fitch (b. 1981) and Ryan Trecartin (b. 1981) met in 2001 while studying at the Rhode Island School of Design, and have collaborated closely ever since. 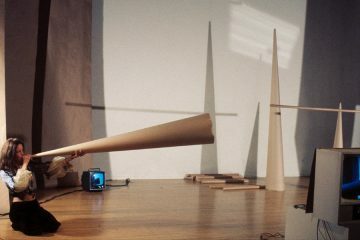 In 2006 Trecartin, at the age of 25, became the youngest artist included at the Whitney Biennial. 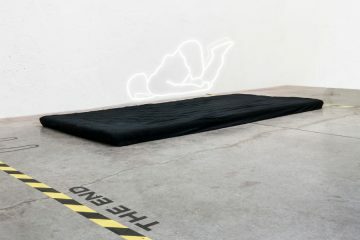 The two artists have presented exhibitions at venues such as MoMA PS1in New York (2011), Musée d’Art Moderne de la Ville de Paris (2011), and Kunst-Werke Institute for Contemporary Art in Berlin (2014), and have also participated in prestigious exhibitions including the New Museum Triennial (2009), the Venice Biennale (2013) and the Berlin Biennale (2016). After having lived and worked in Los Angeles for a number of years, the artists are currently based in Athens, Ohio.